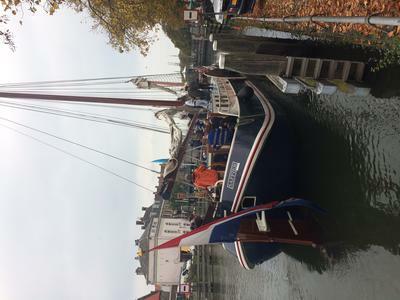 For our annual "summer "team event we organized a sailing trip with Barbara and Gerard aboard the Saffier with a bbq on-board and as a surprise for the employees, fast speed rides on a RIB boat. From start to end the organization was excellent. Although we could of wished for more wind, we all had a terrific time laughing, drinking enjoying the views, taking loads of photo's and selfies and bonding with each other. The quality of the bbq was superb and luxurious and the staff on-board friendly and included us in helping them with their boat duties. Thanks a lot for another successful team event, our colleagues gave us positive feedback and can't stop talking about the fun times they had on the RIB rides. Until the next time! Best regards, Cycleon event team!